The inferior alveolar nerve block (IANB) is the most commonly used technique for pulpal anesthesia in the mandible, especially the mandibular molars. Due to the dense cortical bone of the mandible, buccal infiltration techniques have been known to be less successful. However, the IANB has challenges of its own. Passing through layers of soft tissue and muscle and depositing the anesthetic in adjacent to the mandibular foramen can be very difficult. 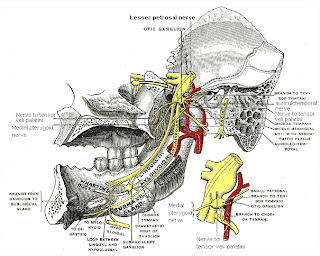 Anatomical variation among patients, including the course of the nerve, location of the mandibular foramen, accessory nerves also innervating the area can all make consistancy with this technique challenging. If the block is unsuccessful, then the practitioner has typically repeats the block or trys another technique. The most common alternative techniques are: closed mouth block (Vazirani/Akinosi), Gow-Gates Block, intraligamentary injection, intrapulpal injection, or intraosseous injection. Manibular buccal infiltration has traditionally not been considered as an option due to the inability for the anesthetic to diffuse through the thick cortical plate. Kanaa et al. reported that a mandibular buccal infiltration is more effective with 4% articaine with 1:100,000 epinephrine than with the traditional 2% lidocaine. A recent study by Il-Young Jung et. al. compared the efficacy of IANB with that of buccal infiltrations in mandibular first molars. Using 4% articaine subjects were given IANB and BI on separate appointments. Pulpal anesthesia was determined using an electric pulp tester. 54% of BI were successful and 43% of IANB were successful. (the difference was not significant p=0.34) The onset of pulpal anesthesia was significantly faster with BI (p=0.03). 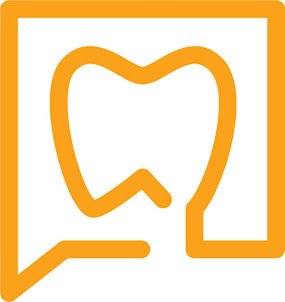 This study concluded that BI with 4% articaine for mandibular first molars can be a useful alternative to IANB due to it's faster onset and similar success rate. Having difficulty with anesthetizing mandibular molars? Try using some 4% articaine in a buccal infiltration. Kanaa MD, Whitworth, JM, Corbett, IP, Meechan JG. Articaine and lidocaine mandibular buccal infiltration anesthesia: a prospective randomized double blind cross-over study. JOE 2006:32:919-23. Jung, Il-Young, Kim, Jun-Hyung, Kim, Eui-Seong, Lee, Han-Young, Lee, Seung Jong. An evaluation of buccal infiltrations and inferior alveolar nerve blocks in pulpal anesthesia for mandibular first molars. JOE 2008:34:11-13. I guess newer studies generally improve on older ones. In the past the evidence has been fairly inconclusive with respect to this topic (studies on both sides of the fence). In my experience, it doesn't matter what anesthetic is used for a hot tooth that has difficulty numbing up with an IA block--a BI will not do the trick. PDL or intraosseous shots are the only ones that offer some degree of predictability there. I use the Wand, so PDL shots are fairly easy for me to do. I guess my point has been that the buzz about articaine has been that it is more effective in purulent areas and that it infiltrates the bone more effectively. This study seems to support the second claim. I typically have found great results with an infiltration of articaine around a mandibular molar, following my normal IANB. Good article. I have heard similar things. My dad and my uncle (endodontist) both use articaine. I have an endo test tomorrow and thought that it would be nie to inlclude this snippet into the comments: The mandibular molars can recieve some innervation from the 2nd and 3rd cervical spinal nerves (C2 and C3) which is why it can be difficult to anesthetize them with IANB only. Of course, the article this was cited from is entitled, "Histological evidence for a cervical plexus contribution to the cat mandibular dentition", so take it for what it is worth. Author: Boldin SL, Hutchins B, Arch Oral Biol, 38:619, 1993. There's also possible innvervation from the Mylohyoid nerve. This is why infiltrations (usually lingual) tend to work for some stubborn lower 6's. Regardless of the anesthetic used. I used to use Articaine, but switched back to Lido because I didn't find any advantage (especially in pulpitic cases) and yet there are possible disadvantages to using Articaine. I've actually had a number of patients referred to me with lingering paresthesia possibly from an Articaine IAN block. While I was doing my AEGD, our program became part of a multicenter study on Articaine (for FDA approval). In my limited time in the study, I also found no advantage to using it. Again, different things work differently in different hands, so others probably have different anecdotal stories about Articaine than I do.